After a traumatic fall which left Wally, the three year old cat, wedged between a fence and a wall for some time until discovered, he developed a stress-related wound on his left ear, 2-3 cm across. Whenever he scratched, little drops of blood would spray forth, and he slept most of every day. Then a similar wound started on his right ear. His owner took him for many visits to two different veterinarians, completely changed his diet, and applied creams, powders and injections to no avail. So finally she turned to me for help and, having just finished my Rei-ki II course, I was able to send rei-ki to Wally in absentia, over distance, for about two weeks. gradually he stopped scratching, slept less, and his ears started to scab and finally the scabs fell off. Wally has finally returned to his former mischievous self and all the hair has regrown on his ears. Beth is thrilled to receive cards and photographs from those who share her rei-ki legacy. When my elderly mother suffered a heart attack she was rushed to hospital and whilst in the ambulance, developed a mild stroke. I was in the ambulance with her and applied Rei-ki II hands-on. She fell into a deep sleep, which gave me a fright as I thought perhaps she had passed on. However she woke up and had an asthma attack. When she was admitted into the Intensive Care Unit, I was informed that she required a 'balloon' to be inserted, and I sent Rei-ki II in absentia throughout this time. After five days she was discharged, and flew off to visit relatives in Australia! She is now doing well and does not require an operation. She loves to have my 10 year old daughter give Rei-ki I hands-on to her legs and feet. As is often the case, scepticism about rei-ki often attracts moments of proof. The following incident convinced me of the power of Rei-ki II sent over distance. My brother, Justin, accepted an invitation to go fishing offshore, thinking it would be a couple of hours early morning. Instead, because of unexpected engine problems, he was in an open boat all day, unprepared, without sunscreen or hat! When he returned home at 5.00 pm his entire face was extremely sunburned, already blistering, and there was real concern over the possibility of sunstroke. Hands-on rei-ki involving direct touch was clearly not the best option, and I was glad I had access to Rei-ki II, so I could treat him in absentia. So, applying the Rei-ki II procedure carefully, I directed the healing to his face, understanding that distance healing in Rei-ki II is the same in effect as hands-on. The next morning the family was as astounded as Justin to discover clear handprint impressions on his face, with the area outside extensively blistered and painful and the area within the handprints much as normal, and he was otherwise fine. Justin has since taken the Rei-ki I and II for himself, and is an enthusiastic supporter of the seminars in many centres around Australia. Having been diagnosed with an over-active thyroid, I had a 4-5 week wait for an appointment to consult with an endocrinologist. So I decided to rei-ki myself as much as possible in the meantime. I applied rei-ki whilst travelling to work on the train each day, whilst watching TV, and I also modified my 'going to sleep' position. By the time my appointment with the specialist came around, my thyroxin levels were back to normal. After a cancer diagnosis, my mother had a third of her left lung surgically removed and, unfortunately, she required the same operation on her right lung nine months later. In the meantime I had taken the Rei-ki I class with Barbara McGregor. After the second operation she recovered well, and needed no further treatment - In fact, two weeks afterwards, I accompanied my mother on a 2,000km holiday and after two months she was ready to go back to work! At the time of the second surgery, I was waiting in the Intensive Care Unit upon her arrival from theatre and gently placed my rei-ki hands on her as soon as possible, continuing with rei-ki at every opportunity. She spent only five days in hospital; two days after her surgery the very large incision needed no dressing and looked like a faded scar, which amazed the hospital staff, who were also impressed at how 'well' she was. I have also experienced extraordinary pain relief from an abscessed tooth, which had been sudden in onset and so intense that I could barely stand up or speak. My husband is now totally convinced of the power of rei-ki and my three pre-teen children are quick to ask for my rei-ki hands for bumps and scratches. I am now committed to rei-ki. My 79 year old mother has been diabetic for over 20 years and after kidney failure is now on dialysis three times a week. Before I took Rei-ki I with Keven Duff recently, my mother could neither sit nor stand for more than five minutes, as her blood pressure would plunge down to below 100 and she would collapse or faint. This has happened many times, especially during or after dialysis or while she is taking a shower, eating or changing. Consequently she would spend most of her time lying down in bed, her legs becoming so weak they would give way whenever she stood and she was confined to a wheel chair to move around. Her memory was bad and she was becoming confused, with no appetite or sense of smell, and her eyesight failing and unable to recognise people. As soon as I completed the rei-ki course organized by Jacqueline Seow in Singapore, I started to give rei-ki hands-on to my mother every other day, concentrating on all the key organ sites and her head. After two weeks, her blood pressure stabilized, she had not collapsed or fainted, even though she is still on dialysis three times a week. She can stand and walk now, sitting for more than one hour entertaining relatives and guests, very alert and chatty, able to recognise people and with good memory. Her appetite and sense of smell are back to normal. The doctors and nurses at the dialysis centre are surprised that she is now very healthy, no longer faint or going into hypoglycaemia after dialysis. I wish you the same experience of happiness and joy in witnessing the healing powers of rei-ki. My family is very grateful for the precious gift of rei-ki. Around the world, rei-ki co-ordinators, practitioners and prospective students in each Usui rei-ki Network centre constantly hear of competing claims made for various form of teaching and practicing rei-ki. Just as unwary purchasers seeking the highest quality timepiece in a rolex watch, (backed by decades, indeed centuries of research and quality control in time-keeping and watchmaking), can be misled by spurious imitators, so unfortunately it is these days with rei-ki. We hear that 'you can learn to do rei-ki from the Internet', you can practice rei-ki after a three hour course or indeed rei-ki I and II in less than a day's 'teaching'. For those with a hunger for 'quickie' credentials, some folk are induced to part with quite large sums of money to become overnight 'masters'. The truly gullible find themselves drawn in to an expanding series of courses (anything up to rei-ki XV - 15! ), for ever larger sums of money and status. Let's hear about the authenticity of Rei-ki training. First there is the hands-on method, which, along traditional lines we term rei-ki I (which within the Usui Reiki Network International is taught over a 20 hour, three day weekend program). This involves four energy transfers - ceremonial procedures involving direct contact individually between teacher and student, several hours apart, followed by hands-on practice and feedback. There is training in the techniques for first aid and for formal regenerative treatment as well as self help procedures. There are hours of practice and progressive discernment in energy variances and responses throughout the course. Most importantly, there is a metaphysical grounding in the association between past trauma and behavioural patterning and the tendency towards certain disease states, so that participants in the training are well prepared for eventualities in healing response and indeed the possibility for healing crisis in acute circumstances. Secondly there is the Advanced Level or Rei-ki II, also an 18 - 20 hour training program over a weekend or three evenings, including homework, which empowers students to work with the healing energy of rei-ki hands-on more intensely than in Rei-ki I, and also to transmit energy over distance - across the room or across the world with equal potential for regeneration and first aid in emergency conditions. This course also potentiates the further development of telepathic gifts in various ways, according to the innate faculties of he participant. It is required that those who progress to the Advanced Level in Rei-ki review review Rei-ki I at least once, and preferably more often as there is a more subtle understanding which develops in the application of Rei-ki in the context of the Advanced Level. There are two energy transfer procedures, teacher to student, in Rei-ki II. We do not withhold any aspect of the teaching to be offered at a later stage for more money, more levels or more status points; nor do we recognise any form of teaching or claims to a 'reiki' which spuriously does so. We do not recognise 'quickie' or 'mini' rei-ki courses. We do recommend regular seminar review attendance. Training to teach is a lengthy apprenticeship over many years, followed by a period of probation before certification. 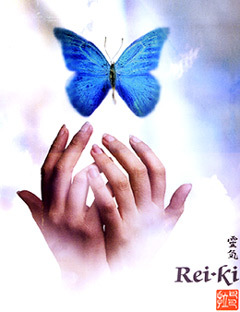 Teachers trained within the Rei-ki training Academy sponsored by the Usui Reiki Network, are licensed to teach rei-ki, which is a renewable permit and which can be revoked. Only those teachers currently acknowledged in our literature and newsletter, and on the Usui Reiki Network website, are licensed to teach rei-ki according to the entire tradition laid down by Rev Beth Gray, in obedience to the directives of Hawayo Takata of Hawaii and her mentors Dr Chujiro Hayashi of Tokyo and Dr Mikao Usui of Kyoto Japan, over the last 100 years. Our teachers do not claim to have more healing 'power' than their graduates - the prowess is in the knowledge, technique and wisdom of the teaching method. At the present time we have qualified educational experts formalizing the criteria for the professional practice and ultimately the teaching of rei-ki in a form which can be registered. If in doubt, please consult the accredited rei-ki co-ordinator in your area, as listed on the back of the newsletter or on our websites: www.reiki.com.au or www.usuireiki.com.au. As the articles in the Newsletter demonstrate, and as participants in our seminars, reunions and retreats witness, there is a heightened experience of spiritual awareness which develops in the pure practice of rei-ki, which ultimately transcends ego and which strengthens the 'observer' self, devoid of delusion or illusion. Thus any tendency to be gullible is tested and objective truth ultimately surfaces. Rei-ki healing affects not only physical imbalances but also emotional, mental and spiritual clarity. Rei-ki will teach discernment and pragmatism, as well as trust and idealism. For an otherwise healthy 43 year old with a nursing background, a history of low red blood cell count and more recently low haemoglobin was worrisome. After taking Rei-ki I, I was scheduled to have a bone marrow biopsy, but decided to take a 10 day holiday in Fiji with my husband beforehand. This involved lots of rest and lots of rei-ki and yet, on my return, I was still tired and the blood counts were the lowest they had been. As a bone marrow biopsy can be painful, I called on support from three friends in the Advanced Level to 'send' Rei-ki during the procedure, and it wasn't as difficult as I had expected, except for the haematologist querying all sorts of things. Two days later I was delighted to hear him tell me, and also to read for myself, that the results were well within the normal range - better than they had been in years. So I was reminded that in a healing crisis, there can be a temporary worsening of symptoms before improvement, and that is what had happened for me. Even if I can't always feel the energy flowing, I now have tangible proof that I can transmit rei-ki effectively.